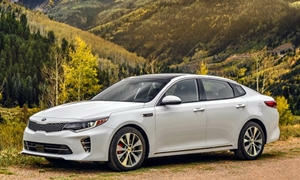 Kia Optima, Ford Escape, Chevy Impala, Land Rover Discovery, Subaru Legacy, Nissan Altima, Kia Cadenza, Cadillac CT6, Hyundai Sonata, Toyota Highlander, Subaru Outback, Ford F-150, Ford CMAX Hybrid, Genesis G80, Genesis G90, Ford Explorer, Subaru Forrester, GMC Canyon, Chevy Colorado, Nissan Rogue, Ford Flex, Ford Expiedition, Mercedes Benz G Class, Chevy Silverado, GMC Sierra, GM Full size SUVs (which you tried one). Unfortunately, your best bet for more space there are more cars than SUVs according to US News. You will have to try them out to see what you like. 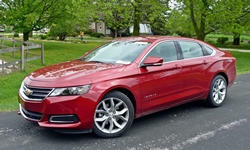 Relatively reliable ones and have not changed in the last few years are the Kia Optima, Ford Escape, and Chevy Impala. Land Rover is very expensive and not reliable - don't get it. Subaru Legacy is surprisingly one of the bigger models. 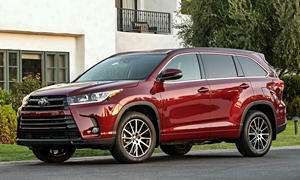 Toyota Highlander may be your best bet in the SUV class. I will be curious as to what others recommend. Best of luck. Never having been a mm over 5' 8" and having average size children, your concerns have never been mine and I have never shopped your segment. So basically I have vitually no personal experience to share. Your basic question is: "what else should be be looking at?". Below is a link that provides an abundance of detail in a compact fashion that I think you may find helpful. I notice that about half of them sticker for $31,000 new or less new. So, if you don't need all the bells and whistles, you may be able find a new model in your price range. 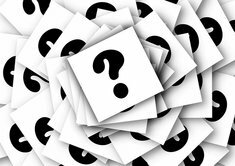 As always we would love to hear back from you regarding your final selection and why you chose that particular model. If you don't need to off road or tow, a minivan is better than an SUV in every way. The seats in a minivan are at about the same height as a crossover, which makes it easy for parents to buckle up the kids and kids to get into. The sliding doors mean your kids will never ding someone's door in the parking lot. 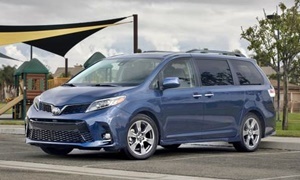 The Toyota Sienna is the most reliable and is the only minivan available with AWD. The 2014-2017 Honda Odyssey is also pretty reliable. 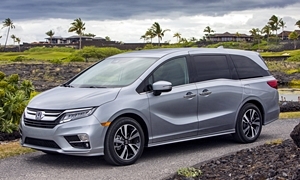 These minivans have bigger 3rd row seats and get better gas mileage than the SUVs. The 3rd row seat in the Tahoe is virtually useless because it is so small. The overall interior volume in minivans are usually larger than the large SUVs such as the Tahoe. The Traverse, Suburban, and Expedition EL are the only SUVs that have comparable space to a minivan. 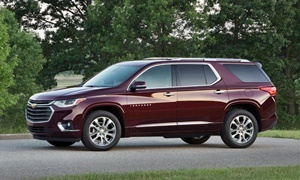 If you don't want a minivan, the 2010-2014 Tahoe and Suburban are OK. Some of them burn oil, though. The 2013-2017 Chevy Traverses, GMC Acadias, and Buick Enclaves are pretty roomy, but not as spacious as most minivans. These three GM crossovers are not trucks like the Tahoe and Suburban are, so they have a nicer ride and don't consume so much gas. They are pretty reliable, but not as good as the minivans. About the same as the Tahoes and Suburbans. I could be wrong, but I think the body on frame SUVs such as the Tahoe and Suburban have a higher floor and only a slightly taller roof. When I am in a body on frame SUV, I always feel like they were meant for short people because my knees are usually in my chest when in the 2nd or 3rd row. I'm only 5'9". Minivans have low floors, high roofs, and elevated seats. Those U.S. News lists are probably based on specs, and specs don't always match reality for various reasons. Nothing beats actually sitting in cars to see how well you fit.